For the last few days it's been quite cool here in Pennsylvania, the temperatures have been in the high 60s/low 70s, which actually has felt quite chilly. That chill has left me craving fall, more specifically fall fashion and makeup. I'm wanting cozy sweaters, boots, and dark colors. When it comes to dark colors I have really been obsessing over matte oxblood lips. I'm surprised that I love this trend so much because I am not a lipstick girl at all, I almost never have anything on my lips other than lip balm. However, in the past few months I've been wanting to give lipstick a try and this trend is giving me that little push I needed. 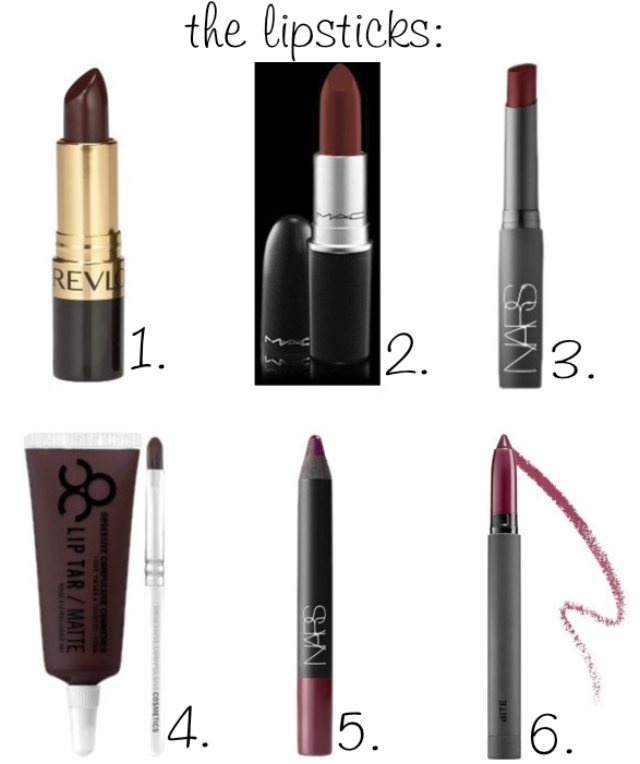 Dark red lips are so chic and look gorgeous for the Fall. Now I just need to decide which lipstick to buy! Here are a few different oxblood lipsticks I've found; I have been lusting over MAC's Sin and I think that's the one I need to get! As far as the rest of your makeup when you wear a dark lip it should be pretty natural - glowing skin, groomed brows, and only mascara. Another great tip I've found is to exfoliate your lips before applying a dark lipstick to make lips look smooth and allow for even color application. So what do you think of oxblood lips? Is it something you'll try for Fall? Today I'm linking up with What You Wish Wednesday, I Feel Pretty, Mid Week Muse, Random Wednesday, and WIWW. We are totally on the same page obsession wise! Wish we were closer and could go on a makeup shopping spree together...yee!!! 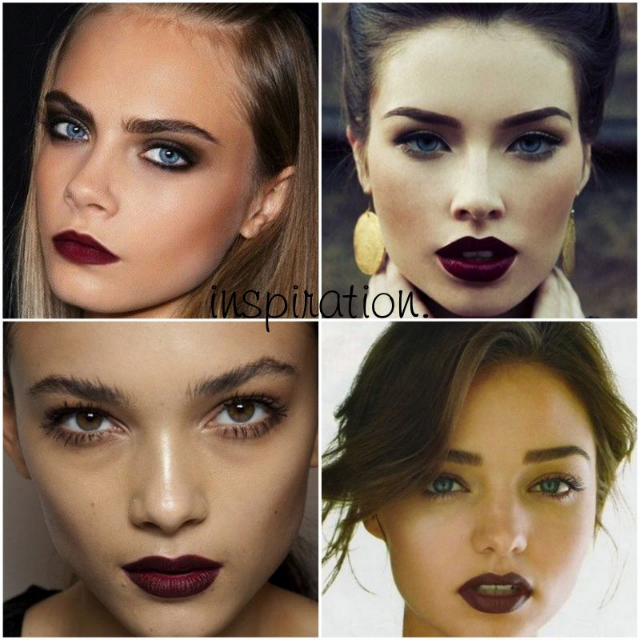 love darker lips in the fall! I love a dark lip and I'm loving that fall is coming up very soon so I'll be going for this type of look. I love this look! I would definitely recommend the NARS Velvet Matte Lip Pencil - I haven't tried this specific colour, but I really like the formula and feel. Chilly temps??? I can only imagine… right now I am still pretending it is fall with highs still in the 90s. Bu that's the south for you. I love these lipsticks… but my husband hates lipstick… I wonder what he would say if I came wondering in wearing one of these! I think it looks great on the right person. I would probably look goth.